I was generously given some yarn to try out by the nice folks at the Adriafil Yarn Company. 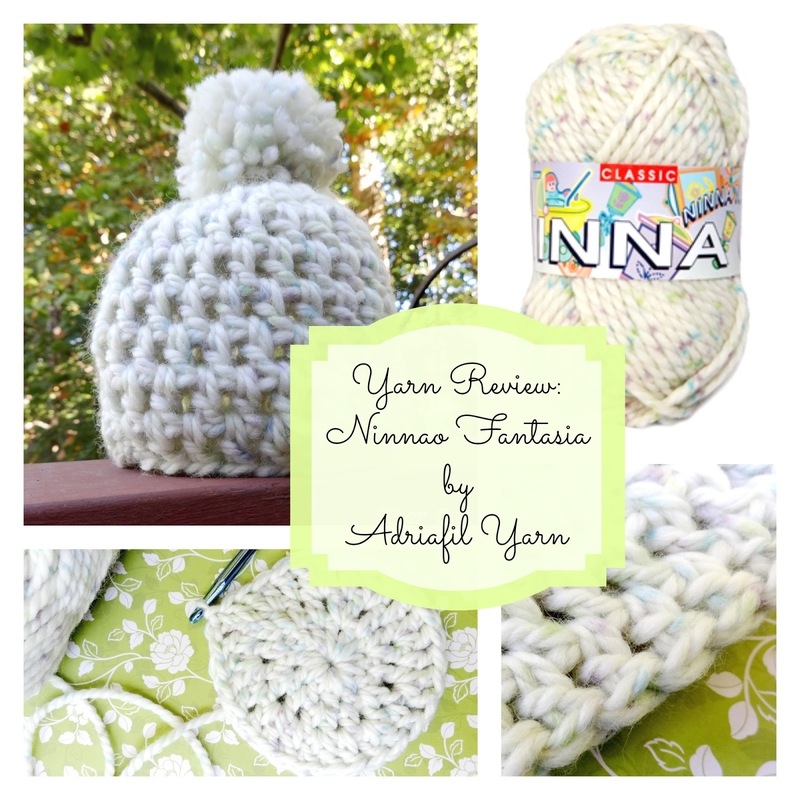 NinnaO Fantasia is a soft squishy yarn in 100% wool. 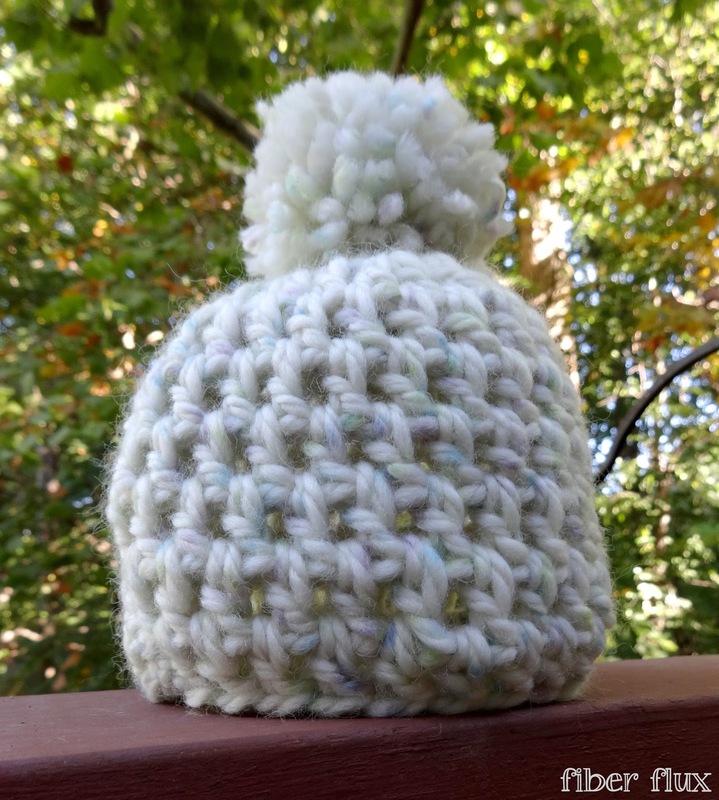 Each skein is over 54 yards, and was perfect to try it out for a baby hat. When I received the yarn, I immediately pulled the label off and first noticed how lofty it is. It would be a great yarn for a little person's cold weather garment and would make an extra snuggly blanket as well. 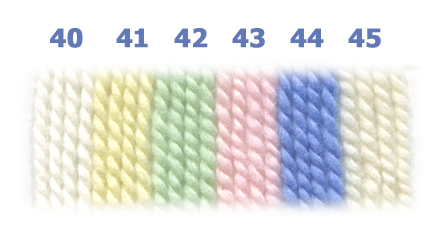 It is softly colored and has little flecks of light blue, lavender, and lime green throughout. It had a gentle twist and is a very elegant shade of white...soft and not glaringly bright. The first thing I did was experiment with a few hooks. 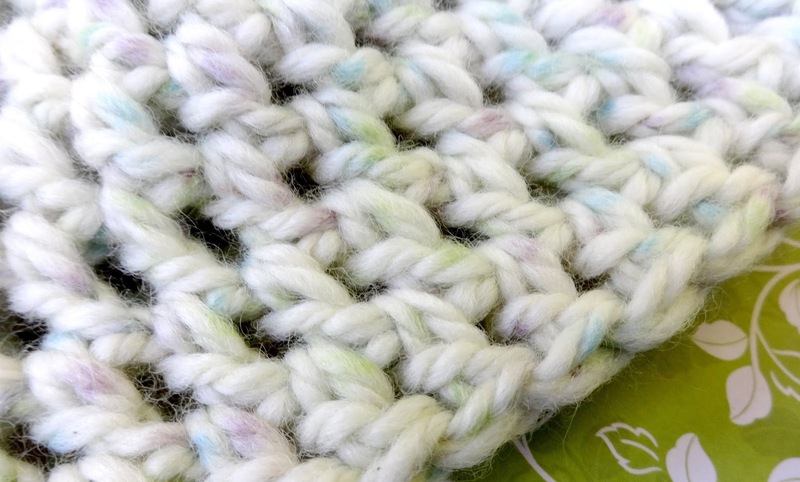 The label recommends using US10 knitting needles (for the knitters out there), and I chose to use a "K" hook to hook up a little swatch to see how the yarn looked when worked up. 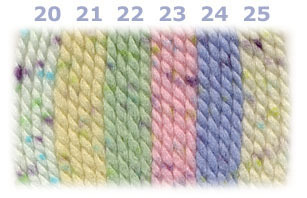 I particularly liked the stitch definition it achieved, still showing off those flecks of color, my favorite part. I really was curious to see if I would be able to get one hat from one skein, and...success! Even had enough for a fun pom pom. 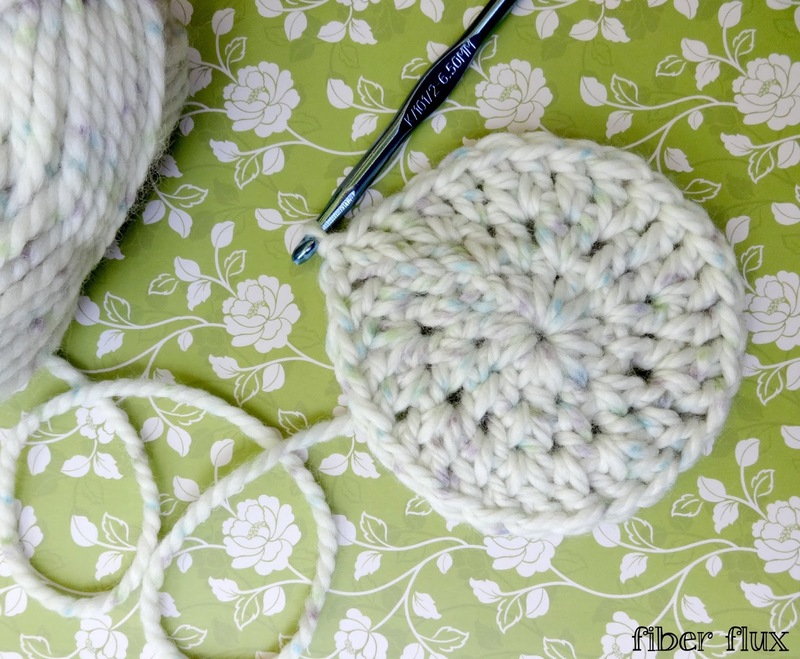 In case you're wondering, the pattern in one of my own, the Confetti Newborn Hat. All in all this was a very fun yarn to use, made for a fast project, and is very squishy and soft! I would use this again for any baby project. All of the fun colors would be great for a striped project as well. Note: All opinions are my own. 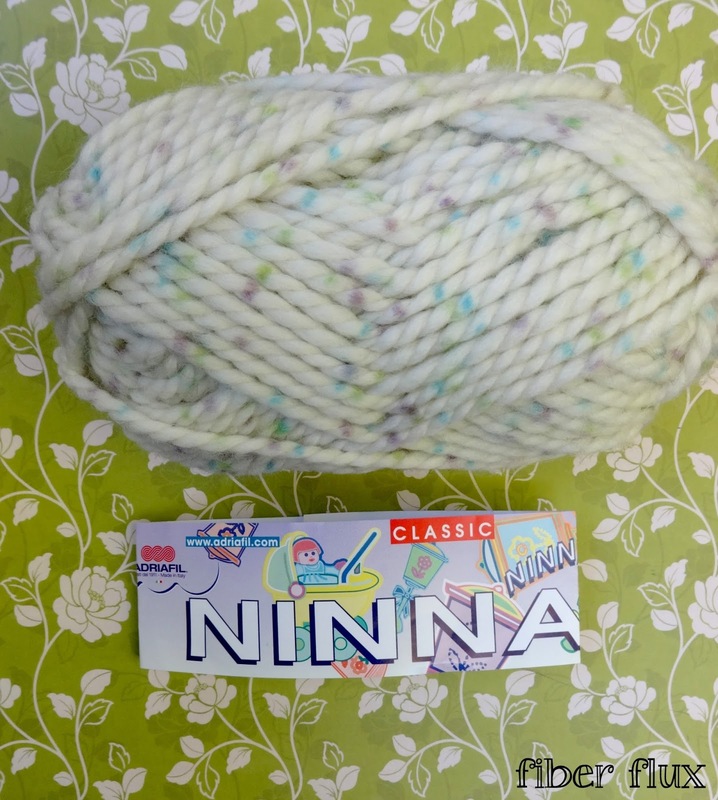 I was gifted this yarn, read my disclosure policy here.